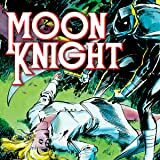 Collects Moon Knight (1980) #5-23. Ghosts, werewolves and things that go crazy in the night! Marvel's multiple-personality midnight marauder takes the fight to the strangest rogues' gallery in all of comics — from Arsenal, the one-man army, to the nun with a crossbow known as Stained Glass Scarlet. The Jester is no joke, for either Moon Knight or Daredevil. Then there's Morpheus, who's guaranteed to give you sleepless nights. But the old foes are the worst: enemies like Midnight Man and Bushman, who have returned to plague Marc Spector. Or is he Steven Grant? Jake Lockley? 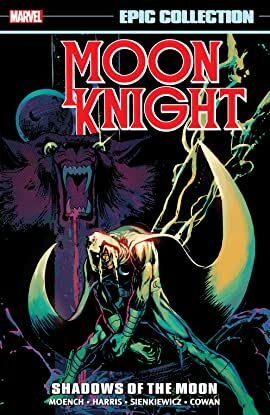 As always with Moon Knight, the voices inside his head can be as destructive as the lunatics trying to kill him! Doug Moench and Bill Sienkiewicz hit full stride in a super-hero comic like no other!